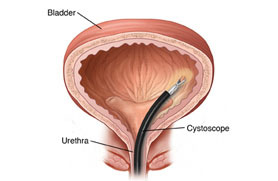 A cystoscopy is used to look inside your bladder and urethra. It is a common procedure performed by the best urologist in Dubai to check the urinary tract. A cystoscopy is an optimal instrument which is thin and long that will showcase a detailed image of the bladder and urethra.